In the design world, fonts are worth their weight in gold. A trustworthy group of fonts, such as the fonts found in Windows 10, can be applied to any design or project you come up with. The hard part is finding the perfect font(s) for you. With so many options, how is one supposed to choose? 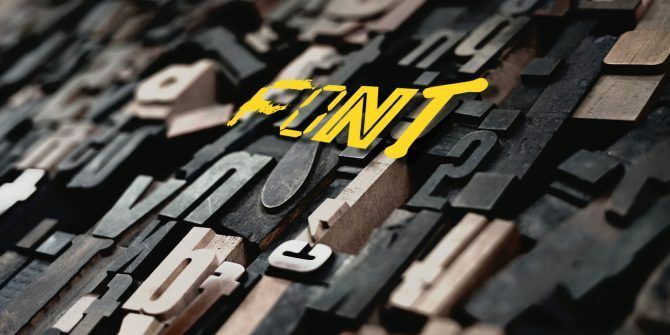 The answer: font pairing websites! 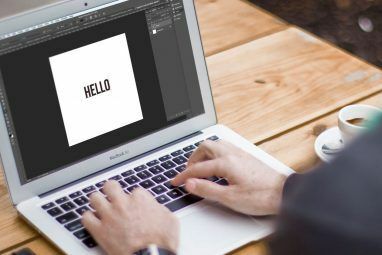 These are an underutilized tool that will help your pair various types of fonts with one another to create the perfect poster, design, website, and so on. In fact, you don’t even need to know about font weights and styles to use these sites. Here are the best ones we’ve found. First up to bat is Type Connection, a fun and surprisingly effective font pairing web app. Type Connection turns font pairing into a kind of dating game Free Online Dating Games That Are Actually Fun Free Online Dating Games That Are Actually Fun Where should you begin if you want a fun, romantic, and well-written game without breaking the bank? Right here! Read More , allowing you to select different types and styles of fonts. The site then presents you with a variety of similar or complimentary fonts that you can download and use. The process is simple: you begin by choosing a font from a selection. Then, you begin the process of selecting a viable match for the font. 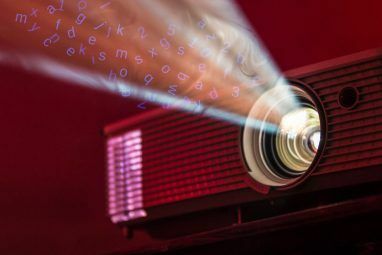 Type Connection is part font pairing device and part educational tool, and the process provides abundant information of what makes or breaks a font pairing. Once you’ve picked your pairing font, the app will provide you with a rundown on the similarities and differences of both fonts. Continue on and the app will device whether or not your font pairing would be effective. If you choose two fonts that don’t belong together, you will be told why. If you pick the correct font, however, you will not only be given the name of your font. You’ll also be given a detailed explanation of why the fonts function well together, information concerning each font, and a fantastic example of both fonts. What more could a typographic designer wish for? Google Fonts is a Godsend for all designers, and Google Type makes an art of the fantastic free font repository. Google Type presents users with a simple type and background interface. 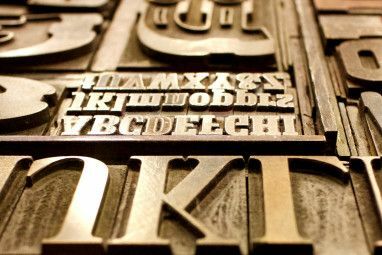 These examples display a variety of Google Fonts—which you can even use in Adobe Photoshop How to Use Google Fonts in Adobe Photoshop How to Use Google Fonts in Adobe Photoshop Tired of downloading fonts only to test them and realize that they aren't exactly what you need? With this Photoshop plugin, you can test and use over 800 fonts provided by Google. Read More —showing fantastic font pairings you can also use in your own projects. To download and use the fonts yourself, click on a font at the top of the example. You’ll be redirected to the official Google Fonts webpage. Click the SELECT THIS FONT option. Then, click on the menu that appears on the bottom of the window. Select the Download icon once you’ve finished selecting your font or fonts. That’s it, enjoy your fantastic font pairing! Font Pair is another site that’s part exhibition and part font pair repository. The best part of this website is the helpful navbar on the top of the site. Options like “Sans-Serif/Serif” or “Display/Sans-Serif” allow users to specify the exact type of font they’re looking for. Scroll down the site to peruse the catalog. You can adjust any type you see in the examples to view your example text directly from the site. To download the font, simply click on either the Heading or Body options below the text. These fonts are available in Google Fonts, so you’ll be redirected there. Additionally, the View font pair in the wild option will show a website using the particular font pairing in the example. Not only will it label the font pairing, it will also link the example and note the color scheme of the website. Do you have the perfect font pairing you want to share to the world? Font Pair also allows you to submit new font pairings—and possibly include them in the website—by clicking on the Add a Font Pair option at the top of the page and filling out a form. Mixfont is a everything you would want in a font pairing site. Head to the site and click on Start the Generator! to generate a random pairing. You’ll be given a randomly generated font pairing. Every font pairing on Mixfont creates a mini-website to exhibit the pairing. Simply click on the red button to the bottom right of your window to continue creating random font pairings. Once you’ve found a font you like, lock it by clicking the font on the top left of the window. A green lock will appear next to the font, locking it in. Then, continue clicking on the red button to generate additional pairs. Once you’ve found your perfect pairing, click on the Embed option to the top right of the window and then click on the font you want to download. What makes Mixfont truly impressive, however, lies just under the font selection. Mixfont also provides users with a selection of different text examples to showcase your fonts. It even displays simple applications using the fonts you’ve chosen, creating a truly comprehensive outline of the perfect font pairing for you. And all for free. What Mixfont does, FontJoy simplifies. From the UI to the font selection, FontJoy is a quick, simple, and useful font pairing site you’ll definitely revisit again and again. Head to the site and you’ll be presented with a very simple, largely editable UI. Above the text, you’ll see two icons, a Generate button, and a slider. To create a random font pairing, click the Generate button. The slider on the right adjusts whether the font pairing is different, complimentary, or similar. To the left, you’ll see the individual names of the fonts you’re using. Click on the Lock icon, and then the Generate button to find complimentary fonts for the locked font. You can lock each font at your discretion. To the right of the lock button is the Adjustment button. If you want to pick a different, specific font for a section, click on the Adjustment button. You’ll be presented with a large selection of different font types, all depicted by images instead of name. Click on the option you choose to change the font selection. Remember to adjust the dial at the top of the text in order to narrow your search. Have you found the font pairing you’re looking for? Then simply click on the name of the font to be redirected to its Google Fonts page. Fonts can make or break a design. Whether it be a project, an essay, a thesis, or something else, choosing the right fonts can be as important as punctuation. If you’re designing something someone is reading, never settle for weak fonts. Instead, use these font pairing sites. And if you still can’t find the perfect font, why not try making your own font for free Everything You Need to Create Your Own Fonts for Free Everything You Need to Create Your Own Fonts for Free These simple tools will allow you to create your own fonts for free, even if you don't have any prior graphic design experience. Read More ? Explore more about: Design, Fonts.